Discover picturesque Nagaland, located in the lap of the Himalayas. 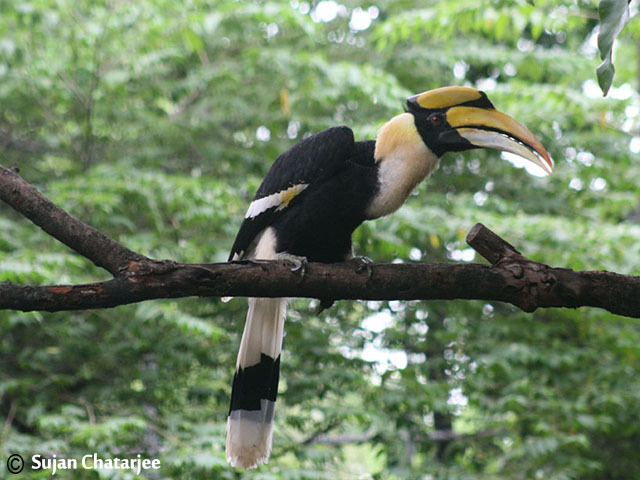 Experience local life at a homestay in Khonoma village, explore Benrue and see amazing birdlife. Soak up the unique culture and history of the land. Travel to the famous national parks of Kaziranga and Manas and look for some endangered animals as well. Your Nagaland bird watching trip begins in Kolkata where you will be received by our representative at Dum Dum Airport. After check-in at the hotel you can spend the day relaxing or exploring this Indian metropolitan city. Kolkata, a bustling city on the banks of Hooghly river is a cultural hotspot. The city of poets and artists, also boasts of wonderful architecture like Victoria Memorial, St.Paul's Cathedral, Hooghly Bridge and Vidyasagar Setu Bridge. Soak in the culture of the 'City of Joy' by hopping on to a tram and explore the treasures of the historic city. ATTENTION: International visitors require RAP (restricted area permit) to enter Nagaland. To process these permits every participant will have to provide photocopies of the passport and visa, and two passport size photographs at least two months prior to the date of the trip. Head to North east India today. Take a flight from Kolkata to Dimapur. From here we drive to Khonoma village, located approximately 3 hours away. The village is located at a distance of 20 kms from Kohima, the capital of Nagaland. Khonoma gained importance in the birding world as the local residents took an active part in preserving the habitat and its wildlife. In 1998, the villagers set up the Khonoma Nature Conservation and Tragopan Sanctuary. In 2000, the environs of Khonoma Village were declared as a Community Conserved Reserve (CCR) and hunting was banned. This safe haven, which covers an area of over 70 square kilometers is privately owned and managed by the village community. The surrounding forests are home to some rare avian species like the Naga Wren-babbler, Mountain Bamboo Partridge, Purple Cochoa, Crested Finchbill, Spot-breasted Scimitar Babbler and the Wedge-billed Wren Babbler. Khonoma is a protected region and a haven for birds. It is easy to sight common birds here due to their high density. We spend the next two days bird watching around the verdant forests of Khonoma. Keep a look out for the rare pheasant 'Blyth's Tragopan' for which the sanctuary was mainly established. In the evening we take a walk around the village to understand the glorious history of this Angami village. The mainstay of these villagers is agriculture and more than 20 types of rice are grown in this region. The village is also famous for its warriors, who contributed to the struggle for independence. Today we drive to Kohima, the state capital city and get acquainted with the history and culture of Nagaland on a Kohima city tour. During the day we visit the State Museum and the War Cemetery in Kohima and towards the evening we set out to explore the interesting markets of Kohima. The Kohima War Cemetery is a symbolic memorial built in the memory of the sacrifices made by the officers and their courageous soldiers during World War II. The cemetery is a testimony to those brave men who fought the Japanese forces keeping them at bay. Each grave is supported by a bronze plaque with a suitable epitaph. The State Museum in Kohima exhibits a rare collection of articles pertaining to the different tribes of Nagaland. The Museum, is an invaluable treasure trove where one can get a glimpse into Naga culture from centuries ago. Here one can find the panorama of each tribe on display, including Naga architecture, social hierarchy, customs and costumes. The main items exhibited are gateposts, statues, pillars, jewelry, and a ceremonial drum that looks like a dug-out war vessel in a separate shed. Our destination for the day is Benrue village, located approximately 4 hours by drive from Kohima. Benrue is a small tourist village in the Peren District of Nagaland. It has a unique culture of animism and visitors can interact with the villagers to get a glimpse of their life. Cuisine plays an important part of any culture and Benrue has its own specialty the 'Kennie Nku', a local bread made of sticky rice and prepared over a heated stone kiln. Most of the area around Benrue is protected and provides ample opportunity for bird watching. The picturesque hills are also a habitat for several species of birds. Our day begins early as we set out to sight birds. Early mornings are an ideal time to spot birds, as they are more active during this time. The entire day will be spent walking around the forests of Benrue in search of rare and endangered species like the the Spot-breasted Parrotbill and other rare birds. We set out early in the morning for our final session of birdwatching. After a leisurely breakfast we drive on to Kaziranga. Kaziranga National Park is located in the Golaghat and Nagaon districts of Assam. 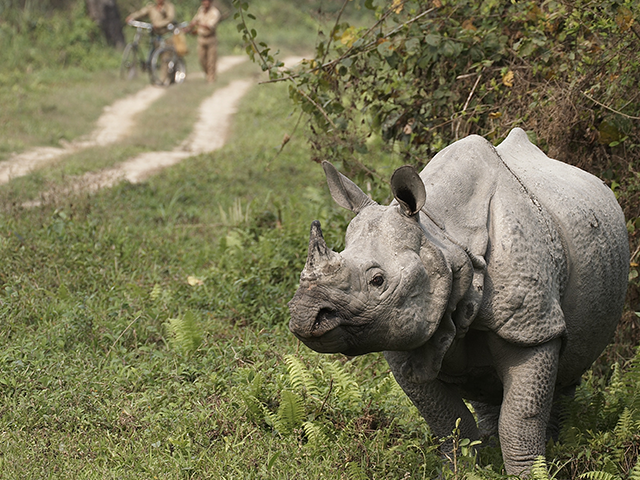 A UNESCO World Heritage Site, Kaziranga, is home to 70% of the population of One-horned Rhinos throughout the world. Besides it boasts of the highest density of Tigers amongst all the parks of India. The flood plains of this region also support a healthy bird life. The next two days will be spent exploring the central and western ranges of Kaziranga Park on Elephant safaris and also in an open 4X4 vehicle. Kaziranga is a important habitat for bird life and has been identified as an Important Bird Area by Birdlife International. The park is a winter habitat for several migratory birds from Central Asia like the Lesser White-fronted Goose, Ferruginous Duck, Baer's Pochard Duck, Lesser Adjutant, Greater Adjutant, Black-necked Stork, and Asian Openbill Stork. It also is home to birds of prey like the rare Eastern Imperial Eagle, Greater Spotted Eagle, White-tailed Eagle, Pallas's Fish Eagle, Grey-headed Fish Eagle and the Lesser Kestrel. Riverine birds include the Blyth's Kingfisher, White-bellied Heron, Dalmatian Pelican, Spot-billed Pelican, Spotted Greenshank and Black-bellied Tern. Today we head to Manas National Park after breakfast. It is another famous park of Assam that is recognized by UNESCO as a World Heritage Site. The park covers an area of 520 square kilometers. The highly diverse habitat is home to several endangered mammals and birds. The Tiger, Clouded Leopard, Wild Buffalo, Pygmy Hog, Capped Langur and Hispid Hare are some of the endangered mammals found here. Approximately 300 species of birds reside over here including the Bengal Florican. We will spend the next two days exploring Manas National Park on safaris. The park has almost 380 species of birds. The most commonly sighted birds are Giant Hornbills, Jungle Fowls, Bulbuls, Brahminy Ducks, Kalij Pheasants, Egrets, Pelicans, Fishing Eagles, Serpent Eagles, Falcons, Scarlet Minivets, Bee-Eaters, Magpie Robins, Pied Hornbills, Grey Hornbills, Mergansers, Harriers, Ospreys and Herons. 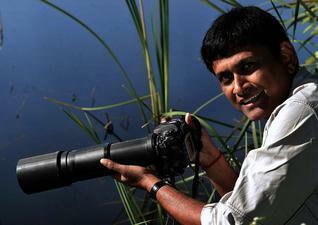 Photographers will have ample opportunity to click pictures of the beautiful landscape and the interesting bird life. Today, we leave Manas and drive down to Guwahati from where we fly back to Kolkata. It takes about an hour by air to reach Kolkata. On arrival, we check into our hotel. The Nagaland bird watching holiday ends today in Kolkata after breakfast. You will be dropped to the airport to catch your homebound flight.